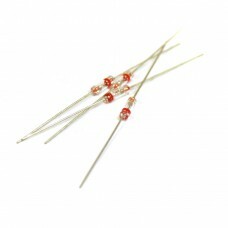 Germanium Diode D9B (rus: Д9Б) can be used as an alternative for 1N34A and other germanium diodes. Great looking NOS mojo Russian diodes. You can try them in your guitar pedal for a special tone.